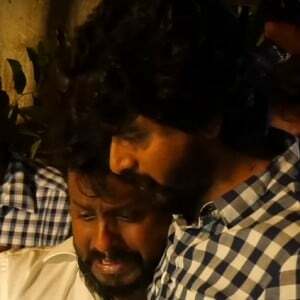 Director Usha Krishnan, of Raja Manthiri fame, has gotten married recently. Music director Justin Prabhakaran, who worked on the same film, shared the news on his social media space, wishing Usha and her husband a happy married life. 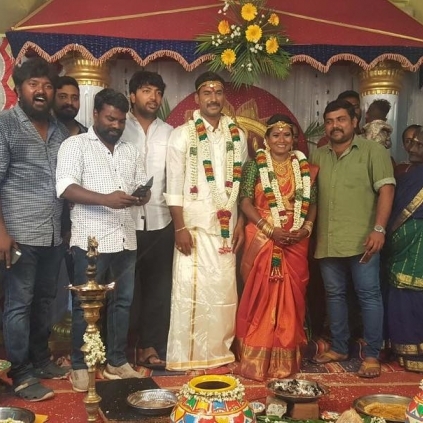 His caption read: "Happy married life #ushakrishnan 💐💐💐😊 director of #rajamandhiri"
The photo also shows actors like Kalaiarasan and Kaali Venkat gracing the event and sharing the happy day with the couple. On behalf of Behindwoods, congratulations Usha! We wish you a happy married life! 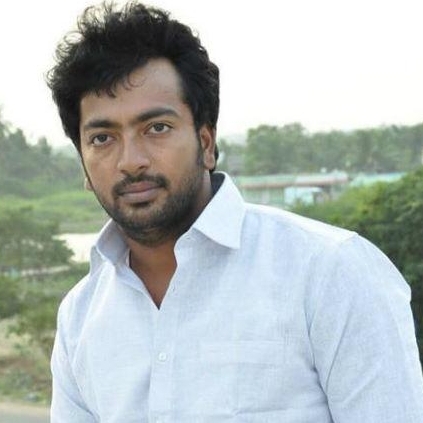 PG Muthiah, known for his camera work in films like Settai, Poo, Oru Oorla Rendu Raaja to name a few, has turned a producer for the Kalaiyarasan starrer Raja Manthiri. 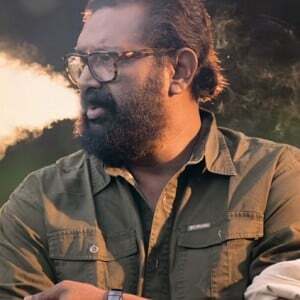 This film featuring Kaali Venkat and Balasaravanan in other pivotal roles has completed its post-production and is looking at blocking a date for its theatrical release. The next film in Muthiah’s production was kick-started two days back, 9th September in locations around the city of Chennai. 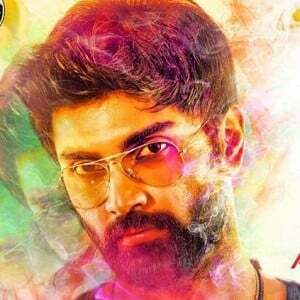 The tentative title for this new film, starring Thilagar hero Dhruva, is Maraindhirundhu Paarkum Marmam Enna. People looking for online information on Kaali Venkat, Kalaiyarasan, Raja Manthiri, Usha Krishnan will find this news story useful.